The Sandlings Centre is situated at the Southern end of the heritage Coast on the fringes of Shottisham and Hollesley villages. The centre is a small development of caravan and lodge holiday homes set in ten acres of meadows and light woodland which are well sheltered and within minutes of the coast at Shingle Street and Bawdsey. Large areas of Sandlings heath and Rendlesham forest also lay adjacent. The quiet surroundings attract a great diversity of wildlife and the owners, Mike and Wendy Adams who get much pleasure from this, are keen to preserve and further encourage this delightful aspect of the centre. The right choice of holiday home and its siting are of course imperative to ensure long term enjoyment and so we decided to give our customers a wide choice of makes, models and sizes to choose from. Our many years of experience and friendly advice will be of great assistance in helping you make the right selection. Many of our customers were keen caravan 'tourers' before settling to 'static' recreation and our part exchange facility was of great assistance when making the change over. If you have a caravan to dispose of we will be pleased to give you a valuation. We can also arrange finance on your new purchase (subject to status) through licensed credit brokers with packages to suit individual requirements. Written details on request. 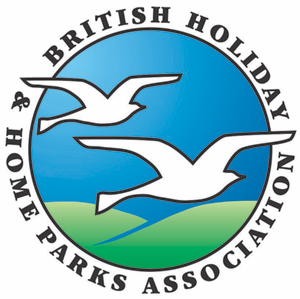 Small park on Suffolk's Heritage Coast offering lodges and caravan holiday homes for sale. A1152 Melton cross railway and river, 2nd exit roundabout onto B1083. Left MOD Woodbridge to Hollesley, pass garage on right, right into Bushey Lane to T at top, left.